Delivery is from week 50 for those that want them before Christmas and then will continue again from week 2 onwards in the new year. 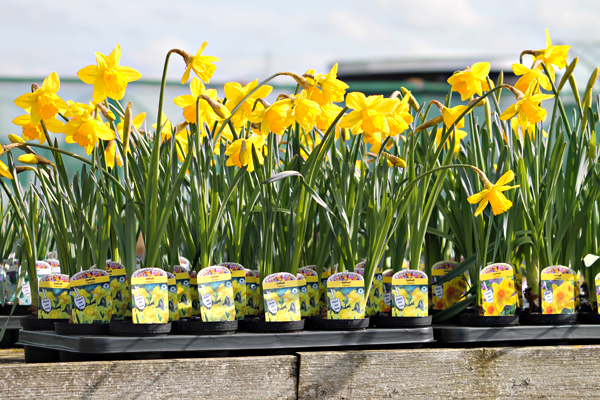 We have extended the range to over 90 varieties in 9cm pots, so you have even more choice this year. 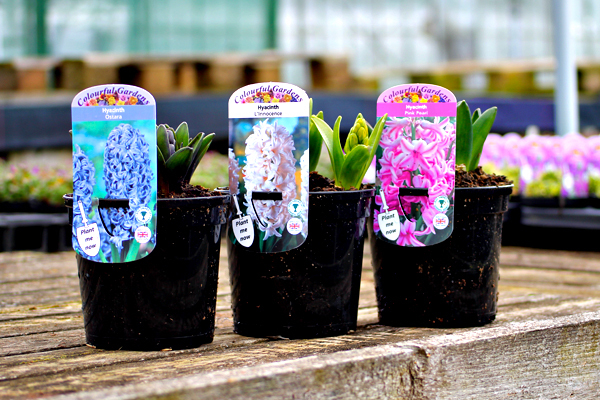 We are also now growing named varieties of hyacinths in a range of colours and a larger range of Iris. We are offering a 5% discount across the whole range for all orders received before 30th September, giving you a good opportunity to sell them at a sensible price and still make your margins! The 1 litre potted bulb range gives you a fantastic selection of larger Tulips and Daffodils, along with other miscellaneous varieties. 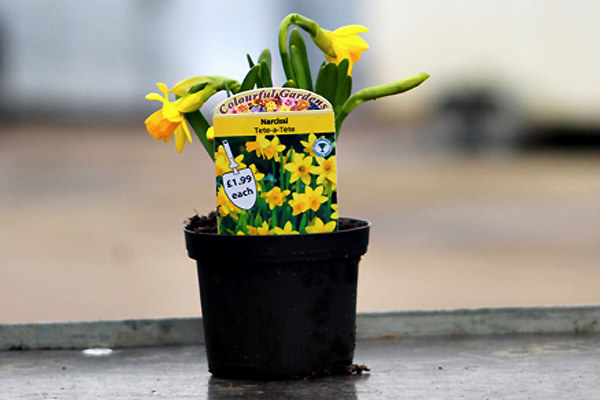 Again these are good pot fulls, with large colour labels and over 50 varieties available. The Tete a Tete & Tulip Red Riding Hood have proved to be very popular indeed, retailing at £4.99. These are grown in the pack, with a dedicated colourful handle, making it an easy pick up and promotional product. If you are wanting delivery of these in week 50, then the Tete a Tete will be pre-treated so that they will be delivered to you in bud. A mix of 6 different pots taken from our main range of potted bulbs. 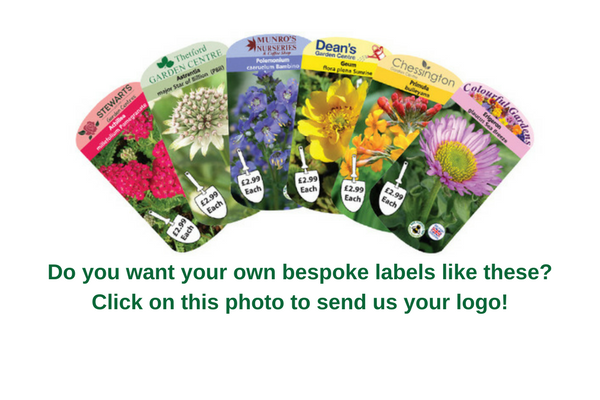 All of your retail prices are printed directly onto the front of your colour label and the barcode on the reverse, giving you a professional finish to your plants. You can choose either generic or individual barcodes to suit your needs. 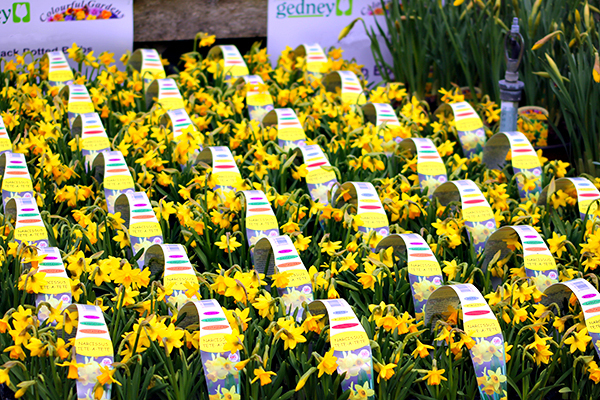 When ready the potted bulbs list will be added onto our weekly availability list. This is sent out every Thursday evening. You can download this straight from our website, or if you wish to have this emailed each week, then please enter your details by clicking here. You can also order online using our 'Easy Online Ordering System' - This has a trolley builder so can see when you've reached a full trolley and also shows you the value as you go along. All plants are graded for growth stages, so will tell you if they're in flower etc. and if you are unsure of a variety, then you can click on the link and it will display an image and descriptions. The system is also responsive to mobiles and tablets so you won't have to scroll from left to right to see everything. Try today!